THANK YOU TO OUR HVAC VENDORS, CUSTOMERS & EMPLOYEES! Several hundred HVAC contractors and vendors attended our Annual Vendor Fair featuring a complimentary international 5-star buffet lunch, free valet parking and shuttle service, free gift bags and t-shirts, raffle drawings and vendor breakout sessions. Held again in memory of Mason Kekoa Macloves, Admor HVAC Products and Mason’s parents presented the Mason Kekoa Scholarship to its first two recipients. 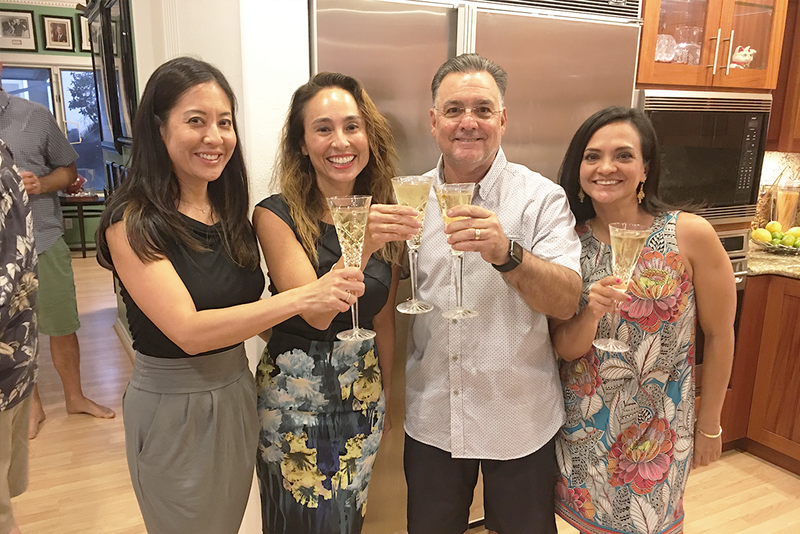 Visiting HVAC vendors and the Admor HVAC Sales team took a break from Admor’s Anniversary Events and enjoyed a night at the home of Drew Santos featuring a delicious feast of Hawaii’s local favorites, live music, and cocktails. With this year’s tournament again selling out months in advance, about 200 HVAC industry professionals, volunteers, and local businesses came together to raise money for the University of Hawaii Cancer Center. The tournament featured dozens of prizes, various beverages and food on the course, Caddy Cuties, the University of Hawaii Cheerleading team, and so much more. Thank you to all of our participants for helping make this event successful once again! Hundreds of HVAC industry professionals and the family and friends of Admor HVAC enjoyed an awesome tailgate party featuring a live DJ, barbeque favorites, complimentary drinks, and appearances from the UH Marching Band, Cheerleaders and Dancers. All attendees received complimentary game tickets and watched the UH Rainbow Warriors’ win over Western Carolina.